I hope you're having a great weekend! I had fun experimenting with my hair and makeup last night, so I thought I'd share my results. 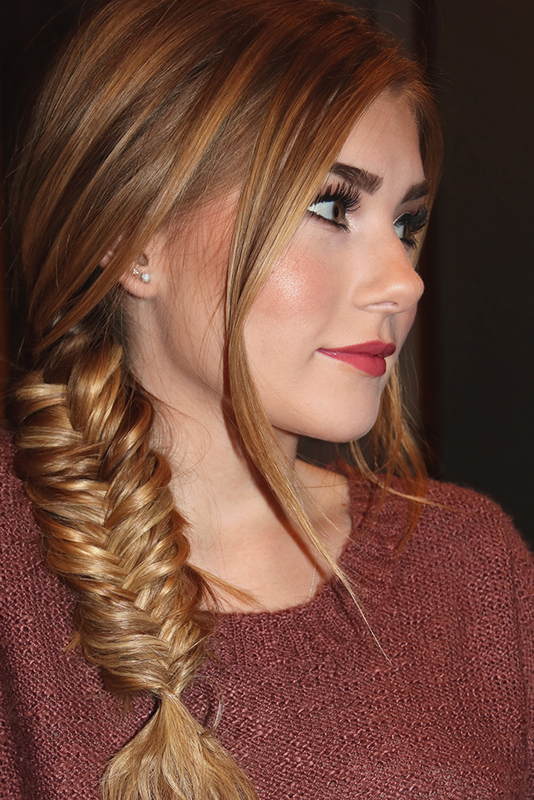 A fishtail side braid is my favorite when I'm going for a casual and relaxed weekend vibe. Don't you just love how carefree it looks?! I'm not going to post a tutorial for a fishtail braid, simply because there are so many good ones already out there that it would be repetitive for me to do another. Here's one to check out if you're just learning how to fishtail. 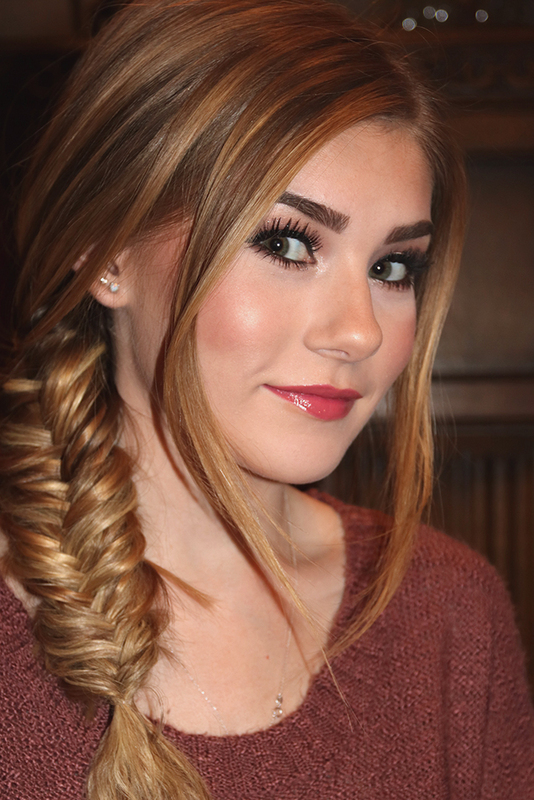 My best advice for creating a fishtail side braid is to do it on hair that isn't freshly washed. This is the perfect hairstyle for second-day hair with a little dry shampoo added in to create additional texture. Batiste Dry Shampoo in the Tropical Scent is still my favorite dry shampoo! Don't you love any hairstyle that gives your hair a break from constant washing? I switch shampoo and conditioner pretty often to avoid buildup, but I'm currently using one of my old standbys: Nourishing Coconut Milk Shampoo + Conditioner Combo Pack by Organix . I'm basically addicted to how yummy it makes my hair smell! Coconuts always makes me think of the beach, which is my happy place. If you're interested in my makeup, I posted all of the details and products on this post. I hope you're having a great weekend so far! If you need hair inspiration, head over to read how to get long, loose curls and how to get more volume in your hair. Have a fantastic week! I will definitely have to check out the link you posted on how to do this. I have wanted to learn this braid for so long but never thought of it at the right time. I think this is just the reminder I need. You look beautiful! 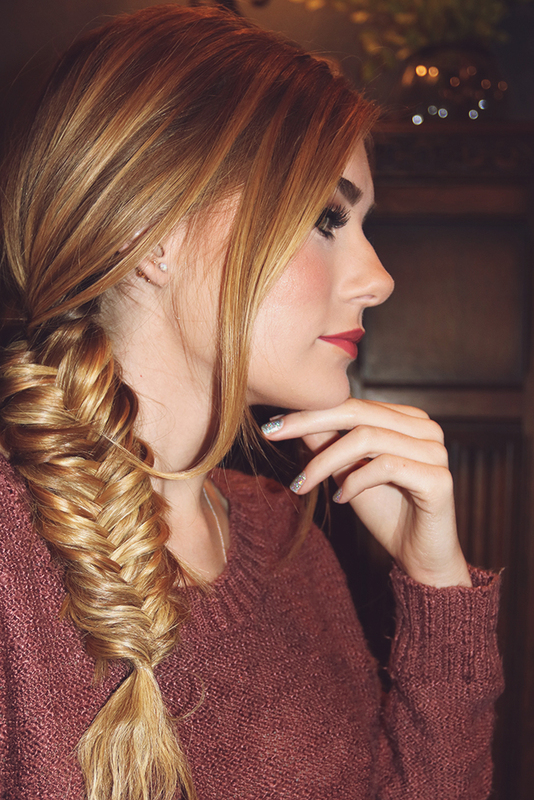 What a gorgeous fishtail braid although it is not messy. It looks perfect. Hi Helen! If you put something like mousse or a texturizing product in your hair it will help keep the layers from poking out. 🙂 I have to do that, too. Omg this is gorgoeus! I love the classy look! 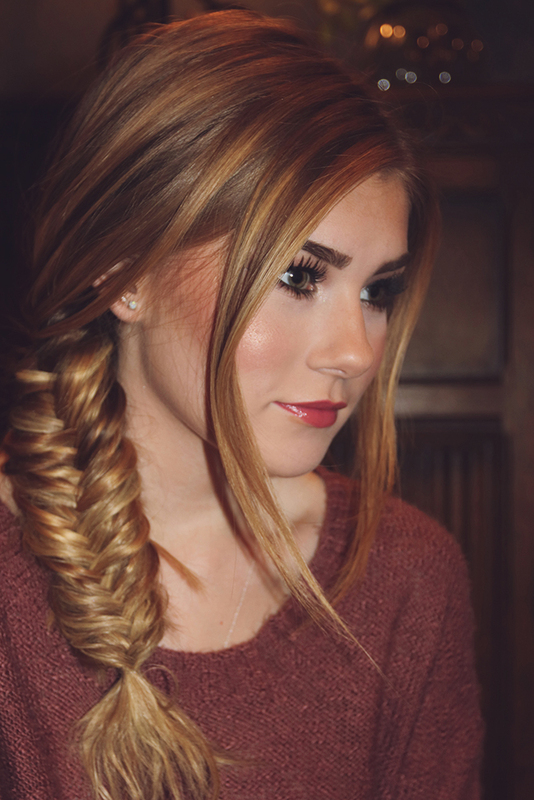 Fishtail braids always look so cute with light colored hair because of all of the different colored pieces. So pretty- I love this! That’s adorable I wish my hair was longer and blonder! Your hair and makeup are absolutely gorgeous! Love this look! This looks easy enough for even me to do! Very pretty! Casual and chic at the same time. This is so pretty!!!! I just need a bit longer hair for this…. I would love to know how to braid really nice and good. My sisters friend knows how to braid really good. What a cute braid and Daisy you look so perfect! The most prettiest braids! Love the look and the way its on the side!